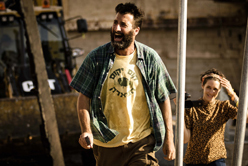 Nitzan, also known as Nitz, returns to Israel from Australia and tries to get back his girlfriend, Kesem. whom he had abandoned. 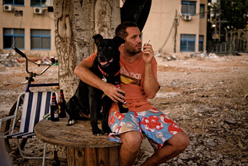 Along with Kesem he also wants to get back Zorba, their aged dog that they once shared. She refuses to let him but she does allow him to have a relationship with Zorba, a kind of child who has found himself in the middle of a quarrel between his separated parents. Across from Kesem's building there is a neglected empty lot. Nitz installs himself in the lot just as plans are being developed to turn it into a modern parking lot. 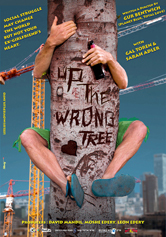 At the center of the lot stands an ancient tree, with thick trunk and spreading branches, on which Nitzan is climbing for communicating with his ex-girlfriend. At first, Nitz refuses to join the protest against the new parking lot, and focuses on his personal tree-usage, but the longer he stays on the plot of land, the more involved he becomes. Nitz will climb the tree, not to come down, until the plans for the new parking lot will be ceased. The protest, of course, brings to mind the social protest that erupted in Israel in the summer of 2011. 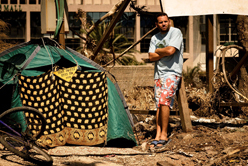 It includes a number of the clear symbols of that protest, such as a tent pitched in the middle of the plot of land, which is demolished by representatives of the municipality.